Labor Day. While sort of a misnomer (we don’t refrain from giving thanks on Thanksgiving Day, so why refrain from laboring on Labor Day? ), its meaning should in no way be diminished by its unfortunate title. 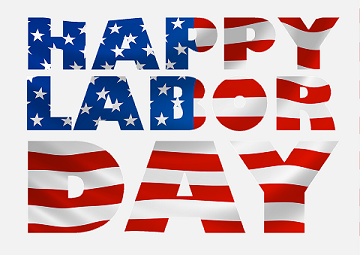 Celebrating Labor Day and its importance are really ways to celebrate the fruits of living a purpose-filled and meaningful existence. Whether your form of labor is toiling away at your job, studying hard in school, raising children or grandchildren, caring for aging parents, helping others through volunteer or charity work, or through any of the other multitude of ways to work, Labor Day offers the opportunity to pause and reflect on those contributions. It can be a moment to take pride in a job well done. Or, conversely, if you feel you could do more or improve in some way, this time provides a chance for valuable introspection on your own personal growth. Another worthwhile aspect of the Labor Day experience is to shine a light not just on yourself but on the labor of others. In the course of daily living, our lives are consistently touched by the work and contributions of others. The clerk at the convenience store, the people at the power or water company, mail carriers, crossing guards, etc. all play a part in our lives. We all make each other’s existence and the quality of that existence possible. If everyone decided one day to labor no more, life as we know it would cease to exist. So, while stuffing your face with a foot long hot dog drowning in massive amounts of highly unhealthy yet delicious toppings on Labor Day, remember the contributions of yourself and others. No matter how small they may seem, they all matter. Previous post: Should I Add A Logo To My Christmas Cards? Next post: 12th Annual Create a Greeting Card Scholarship Contest – Round 2 Finalists Announced!